The key to success (in the MLM industry) is simply adopting better habits. The difference between successful and unsuccessful people is just better habits. It just goes back to thinking like an entrepreneur who’s reading and learning every day. You may not like to read, but it’s not about what you like to do, it’s about what you’re willing to do. Successful people do things unsuccessful people don’t like to do. One of the things I’m challenging my coaching clients and my team’s downlines to do in 2015 is adopt a new habit; one small habit can change everything. 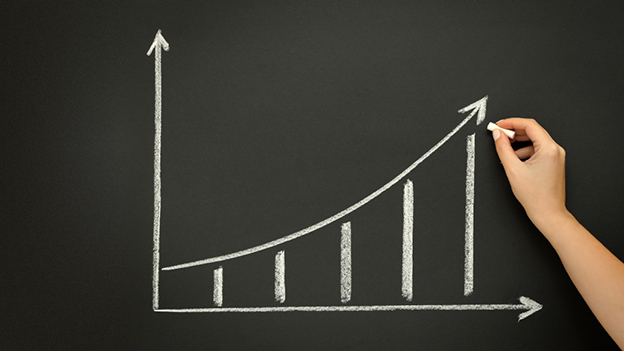 For most new distributors, the habit that makes all the difference is setting a specific time to prospect every day. It could be just 15-30 minutes and that’s not for answering emails or other messages; it’s time devoted to actually picking up the phone and contacting someone. These things I’m suggesting just require discipline. Often, we love to be our own boss but we hate to be our own employee. Usually, we’re the worst employee! We’d probably fire ourselves most of the time because we just don’t have the discipline. Once you’re in the industry for a while, you’ll develop that discipline but I know I didn’t have it right away. I needed a strong mentor who was literally in my face screaming that I needed to get going. I made no money my first two months, but what turned it around was that I made a commitment every day from like 4-5 pm PST that would be the time I would call. And only call, not checking emails or messages, but real prospecting. Once I started doing that, I began to get results. Any successful person who makes six figures or more in my downline, that’s what they do. They make that commitment—maybe they sacrifice a lunchtime to make phone calls—and they also put it in their calendar. If they don’t put it in their calendar, it’s not going to happen. It’s so easy to forget such things because we live in a world with so many distractions. We have family issues, personal issues, kids, and other things that come up and if it’s not on the calendar, it’s just not going to happen. 1. Mindset is like the software. If your software is corrupt, it doesn’t matter how good your computer is, it’s not going to run. It’s your mindset that gives you the foundation. 2. Marketing and generating leads is the second thing. You need to have a constant supply of people to talk to and it doesn’t matter if they’re online or offline or maybe you’re just good at meeting people in the checkout line, but you have to be good at building a leads list. 3. Prospecting is about how you invite people, present to them, and follow-up with them. 4. Leadership is how you lead your team and how you duplicate. 5. Expansion is necessary if you want to make 6 figures. We live in a global economy so you can’t just stay where you are. 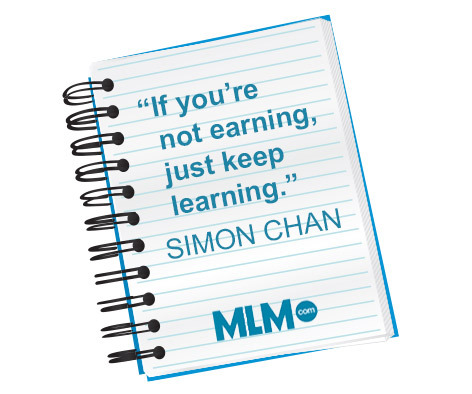 Those are the five fundamental skills that will help any network marketer find success in MLMs. My own start in network marketing was unusual. I was a huge basketball fan and because I was in the right place at the right time, I got a dream job as the agent for the first Chinese basketball player in the NBA. I loved it but it was a rat race job, took long hours, and I didn’t get paid very much. Working in that job brought back memories of my childhood. My dad was a doctor and made good money, but he was always busy and never had time for us. I realized I was going down the same path…or worse because at least he made money and I wasn’t. Those financial challenges got me reading books like Rich Dad, Poor Dad (Plata Publishing, 2011). From there, I read Cashflow Quandrant (Plata Publishing, 2013), and Multiple Streams of Income (Wiley, 2005). People kept talking about this network marketing thing. I’d never heard of that before. I thought it was marketing computer networks on the internet—an IT thing. I had no idea what network marketing was, but the more I researched it, the more I learned. I read books like Network Marketing for Dummies (For Dummies, 2001). I researched for like 6 months. I was very, very skeptical so I spent some time choosing a company and basically, signed up myself. I just called a random person and signed up. So no one ever approached me about network marketing. It’s not a story you hear very often. One of the reasons I chose network marketing is because I’m a born-again Christian. I read Purpose Driven Life by Rick Warren and decided my purpose was to have a positive impact on as many lives as possible. Network marketing is really about helping others; it’s not about making sales. If you really want to get passive income, you have to help others do the same and help them earn a living. With my coaching business, it really came out of luck. I was basically full-time with my company for about 9 years and was doing well and then came Facebook. The problem with Facebook is that anyone can contact you. People started contacting me from my company and asking me for help. It was a weakness of mine, I’d just help them. It began to consume so much of my time that it was affecting my personal life. So to simply get rid of these people, I started charging $250 an hour. I didn’t think anyone would pay me. I just thought it was a way to send an excuse that I couldn’t answer their Facebook and email messages. Turned out, people did end up paying me but I didn’t really like making those phone calls. I couldn’t make much of a difference in just an hour on the phone and that lack of impact made me look bad. Most of the time, those calls were just venting sessions for people to complain about why it wasn’t working. There just wasn’t any time left for me to teach them anything truly helpful. So I started doing weekly coaching sessions where there was accountability and that’s how it started. I now have two different coaching calls, two different membership calls, and I’ve started working on some products. My vision is to help the entire MLM community and even right now, I have clients from different companies who have purchased my products and my training sessions. My coaching webinar has gone global and includes people from about 10 countries right now. I’ve also done international events for other companies—it’s really exciting! This industry has totally changed my life. If it weren’t for network marketing, I’d be sitting in a cubicle right now instead of taking my kid to Disneyland so I’m very grateful for what the industry has done for me. I love this business; it’s my opportunity to give back. I’m happy to empower anyone to stay in the game! 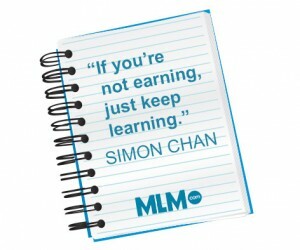 My best advice is: If you’re not earning, just keep learning, and keep at it. At the end of my day, I just want to hear more success stories.